From the 14th May, the Institute for Medical Education (IML) will be located in the Länggass quarter. At its new location in Mittelstrasse 43, the IML will be coming together spatially, as the management and three of the four departments will be combined under one roof (for organizational reasons, the program leadership of the MAS Master of Medical Education will remain at Bühlplatz). The Unitobler and all other university locations are within walking distance. The headquarters of the IML is the former office building of the Swiss Federal Railways (SBB) in Mittelstrasse 43. In the future, the management and the three IML departments (Assessment and Evaluation (AAE), Education and Media (AUM), and Software Development, Usability Consulting and IT Infrastructure (ASCII)) will be working together under one roof. Only the MME Master program will continue to be housed in Bühlstrasse. Besides modern office spaces, the IML will possess a modern usability and research laboratory, a sound studio and a video studio. 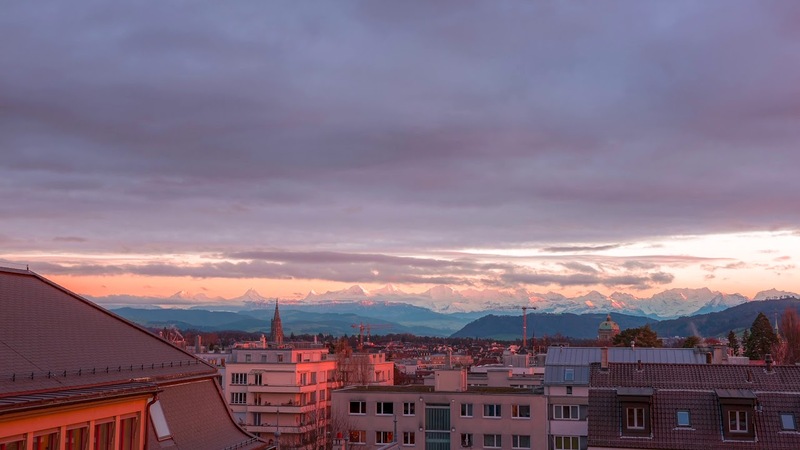 The institute will share the property with further organizational units from the University of Bern, and the IML will be in good company in its new home, with three other institutes and groups of the Medical Faculty (see box 2). The building, which was classified as worthy of protection by the city’s Office for the Preservation of Historical Monuments, has an eventful history. It was built in 1903 as the administrative building of the SBB, which had been founded one year earlier. Five years later, in 1908, it was “flipped” − the original U-shape was converted into a block perimeter development with a central and accessible courtyard. In 1945, an additional storey was added to the building. In June 2011, the Grand Council of the Canton of Bern authorized the purchase of the two SBB properties in Mittelstrasse 43 and in Hochschulstrasse for use by the University. The location of Uni Mittelstrasse is a further step in the realization of the “Strategy 3012”, which was included in the Cantonal Structure Plan in 2004. The strategy describes the vision of the long-term spatial development of the University of Bern and envisages a concentration of the University in the Länggass quarter with three central foci and a location for clinical medicine in the Insel Hospital area. Central to the redesign of the building was the coupling of the old fabric of the building with a modern and contemporary architecture. On the one hand, for example, the historical color scheme was restored in the interior design and carefully reinterpreted. On the other hand, the rooms were designed with a lot of glass. The building offers around 650 work spaces, several meeting rooms, various seminar rooms and a departmental library with approximately 100 learning spaces in four reading rooms. The new construction from 2017 supplemented the generous library infrastructure with practical rotating shelves with over 6000 running meters of storage capacity for books, thus enabling an optimal usage of space. "I am looking forward to life being breathed into the building ", says the operational project leader Christa Brünisholz from the Building Development Office of the University of Bern. And she remarks that: «We want to support active communication. The building was designed to have numerous meeting and communication zones, in which colleagues from the heterogeneous user base can network and exchange knowledge». As is fitting for a university institution, space should be provided for an open view into the world and collective transparency. The closer the moving date draws, the more the tension, but also the excitement, grows. The employees are informed and are aware of what to expect. The good, communication-enhancing infrastructure lends itself well to a quick settling-in period, as this corresponds to the open work culture of the IML. The return to everyday working life should be swift.